Some of the dry foods like cereals are best in kitchen cabinets. It is the right place to put them besides the convenience. The food items can be in the kitchen cabinets according to the types, nature or even purpose for easy access and aesthetic appeal. Items which are nearing their expiry dates are better where you can easily see them. Valuable artifacts and mementos are safe in cabinets. The color and style of the kitchen cabinet define the look of your kitchen and even the entire house. Think about the items that you need to store in your cabinet. Also, consider the available space and the design of the room. The two factors will give you a precise and meticulous layout. A larger family will require a larger cabinet because of the greater number or even variety of items to be stored. It is also important to consider if there will be an increase in the family size in future or if it will remain constant. Commercial cabinets like the ones for hotels and restaurants have to be bigger unlike the ones in homes. Owing to this, they have to be rugged to accommodate the additional weight that comes with size. 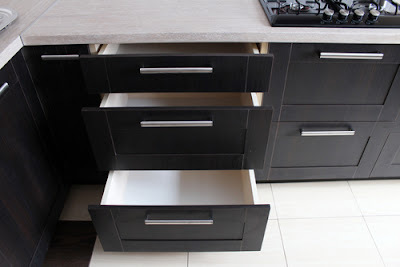 These types of cabinets are available off the shelf at your local home center and hence available in the shortest time. It offers the lowest prices but with fewest options, however. Here you make an order according to the available choices. The more options you are offered, the more you may pay or wait. It is convenient if you have a smaller space and have no interest in space for fillers. This cabinet is according to your vision from the initial stages. You get what you want. It is the best option when you want it to match your doors or any other furniture. The cost of this cabinet is however higher. Some cabinets like Laminate and Thermofoil are readily available at home centers and stores. These present a good choice if you have a small budget and want to acquire the cabinets quickly. 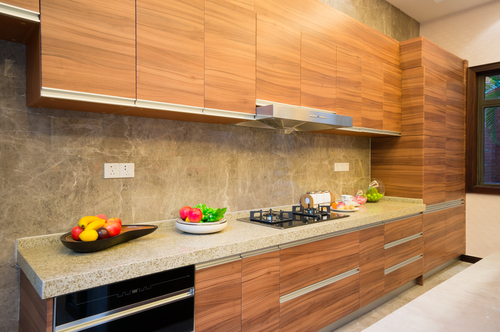 To get sustainable kitchen cabinets, you have to make a right choice of materials to be put to use in its construction. An excellent artistry is also crucial. The door style of your kitchen cabinet is the actual face of your kitchen cabinet. It also depends on the items to keep in the kitchen cabinet. Sliding glass doors are majorly in use for storing items that are frequently in use. Other considerations include whether the items need to be locked, need special atmosphere among other aspects. This practice is a complete professional makeover of your kitchen when the total remodeling of the kitchen cabinets seems expensive. Sometimes a few repairs or upgrades of your kitchen is all you need to give your kitchen a new and satisfying look. Renovation, therefore, presents a better option in cutting down on the expenses. There are many available renovators in Singapore, and it is, therefore, a matter of choosing the company with the best reputation and track record. Some of the renovating businesses can even give you a bargain for their patch-up services. Take your time to carefully analyze what you need about your kitchen cabinet and why you want your current one gone. Go through inspiration photos, consult with friends or even magazines. 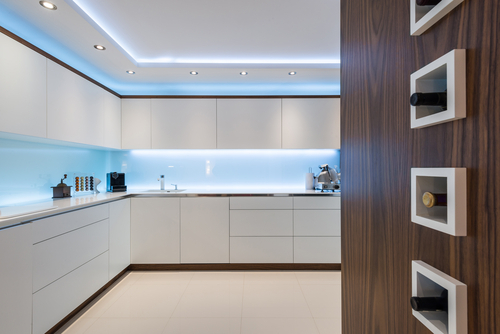 You can as well attend kitchen show rooms for a wider perspective. Take enough time to come up with the best of your dream kitchen cabinet. Document your ideas and draw a preliminary budget. As much as you are committed to this, you need professional help. Talk to friends and colleagues for references. It is even best to talk to ones who have had a renovation before. Produce the design related plans, sketches and any other document you deem relevant for the construction of your kitchen cabinet. In line with the style you have settled for the space available, make the final selection of the fixtures and finishings which include but not limited to decorative accessories, finish and color, and style of door. Ensure your final documents are in order and have captured all your intended features. 7. Find quotations from contractors. With assistance from friends, relatives and even local websites, get quotes from available contractors and settle for one that suits your budget and delivers the best. Some of the ways to prepare for demolition include moving out the contents of the existing kitchen cabinets to a temporary storage. Find out from your contractor if you need to be out of the house during the renovation temporarily. Countercheck to ensure everything has come out as you wished.